March 21, 2011 - Building on its commitment to safety and quality, Omniflight Helicopters, Inc., a leading national provider of air medical services, has completed Level 1 of the Federal Aviation Administration's Safety Management System (SMS) program and has now started on Level 2. Omniflight announced its achievement, calling its SMS participation a natural extension of its "true safety-first culture." The company, which operates some 100 rotor and fixed-wing aircraft nationally, from 77 bases in 18 states, completed the first phase in just seven months. Omniflight said the SMS program is helping to build on its existing proactive safety efforts. "We have had proactive safety programs in place for years," said Tom Leverton, Chief Executive Officer of Omniflight. "Among them is the use of night vision goggles for our helicopter pilots in most of our operations. We have also worked hard to train our flight crews to the highest standards. We see involvement in the FAA's SMS program as one more opportunity to further improve our safety and quality and demonstrate our commitment to our customers." In the areas where it has base operations, such as the Southwest, Midwest, and Southeast, Omniflight operates under its own name as well as through affiliated brands such as Native Air, LifeSaver, LifeStar, Orlando Regional Medical Center, and Air Idaho Rescue. The first level of SMS participation was a tremendously positive experience for all of Omniflight's aviation, technical, clinical, and administrative personnel. The Level 1 assessment of safety and quality, spanning the entire company, helped Omniflight develop plans and strategies for improvement. As Omniflight moves through the Level 2 phase of the SMS program throughout 2011, it will implement educational plans and program enhancements, involving all of the company's hundreds of employees. The process includes validation of the effectiveness of all of Omniflight's systems, improving communications, and refining its problem solving. "SMS drives us to ensure that all of our safety programs are fully integrated with our clinical group, to the point of sharing operational and technical details and weaving all of our functions together, with a more effective communications flow," Leverton said. Because the SMS program is effectively a partnership with the FAA, designed to establish and maintain a fully integrated safety system, Omniflight's customers and employees will be assured that the company meets the highest standards in the industry. "This program is highly recommended by the FAA for our industry," Leverton said. By participating ourselves and involving our customers in the ongoing program, Omniflight continues to demonstrate our commitment to a true safety-first culture." Omniflight Helicopters is based out of Addison, Texas the company is a leading provider of air medical services throughout the U.S. The company operates about 100 aircraft nationally from 77 bases in 18 states, with a strong presence across the Southwest, Midwest and Southeast regions as well as certain Mountain State areas. 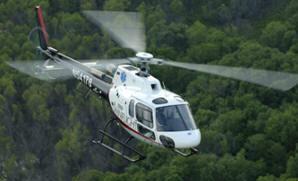 Its focus is primarily on inter-facility and on-site emergency scene response using both rotor- and fixed-wing aircraft.